This is the World Peace Bell in Cowra, New South Wales, Australia. The Bell is made from coins provided by 103 countries and is a replica of the one that stands in the forecourt of the United Nations Headquarters. 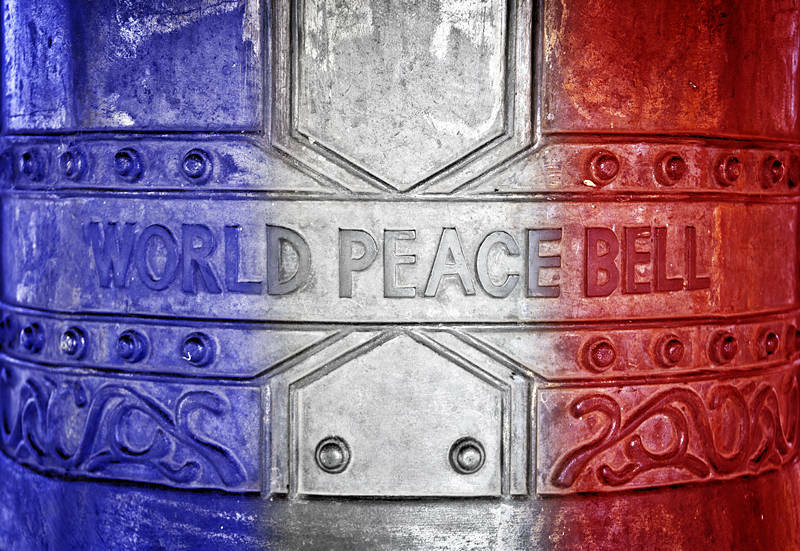 Events in France remind us of the need for greater understanding between people of the world. It is sad that someone could believe terror attacks on France would be a solution for anything. To process this image Red and Blue layers were used in Photoshop to add colour. A lightened Black and White layer was used in the centre to finish the flag.